Christ Episcopal Church in the Village of Pittsford: Maundy Thursday 7 p.m., Good Friday Noon and 5:30 p.m., Easter Eve (April 20) 3 p.m. Easter Service for Families with Special Needs, Easter Sunday 8 a.m. and 10 a.m.
Church of the Transfiguration: Holy Thursday Mass of the Lord’s Supper at 7:30 p.m., Good Friday service at 2:30 p.m. and Simple Stations at 7 p.m., Easter Eve Vigil at 8 p.m., Easter Sunday at 7:30 a.m., 9 a.m. and 11:30 a.m..
East Bloomfield United Methodist Church: Maundy Thursday joint service at St. Peter’s Episcopal Church (44 Main Street) at 7 p.m., Good Friday 7 p.m. with St. Peter’s church members joining those at EBUMC, Easter Sunday worship at 10 a.m. with Easter Egg Hunt after service. Elim Gospel Church in Lima: Good Friday 6 p.m., Easter Sunday 10 a.m.
First Presbyterian Church of Honeoye Falls: Maundy Thursday 7 p.m., Good Friday Annual Ecumenical Honeoye Falls Community Pilgrimage at 7 p.m., beginning at St. Paul of the Cross, progressing to First Presbyterian Church, Honeoye Falls United Methodist Church and finishing at St. John’s Episcopal Church, Easter Sunday Sunrise service at Harry Allen Park at 6 a.m., worship service 10:30 a.m.
First Presbyterian Church of Pittsford: Maundy Thursday 7 p.m., Good Friday 7 p.m. service with the church choir, Easter Sunday sunrise service at 7 a.m. at Port of Pittsford Park and Easter Sunday services at 8:30 a.m. and 10:30 a.m.
Grace Episcopal Church in Scottsville/St. Andrew’s Episcopal Church in Caledonia: Easter Sunday service at 8:30 a.m. at St. Andrew’s and 10:30 a.m. at Grace. Honeoye Falls United Methodist Church: Maundy Thursday 7 p.m. at Ionia United Methodist Church, Good Friday Community Pilgrimage at 7 p.m., beginning at St. Paul of the Cross, progressing to First Presbyterian Church, Honeoye Falls United Methodist Church and finishing at St. John’s Episcopal Church, Easter Sunday worship service at 11 a.m.
Ionia United Methodist Church: Maundy Thursday worship at 7 p.m., Easter Sunday service at 9 a.m. with Easter brunch following the service. 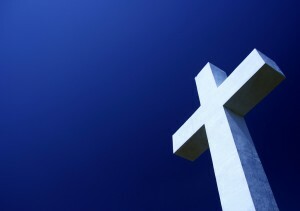 Lima Baptist Church: Easter Sunday service at 10 a.m.
Lutheran Church of the Epiphany in East Avon: Maundy Thursday 7 p.m. with Holy Communion, Good Friday 7 p.m., Easter Sunday pancake breakfast 8:30 a.m., service at 10:30 a.m.
Mendon Church: Good Friday service at 8 p.m., Easter service at 10 a.m. Rush United Methodist Church: Maundy Thursday 7 p.m.; Good Friday at 7:30 p.m., Easter Sunday service traditional worship at 8:30 a.m. and informal Easter worship at 10:45 a.m.
St. Catherine of Siena Church in Mendon: Holy Thursday Mass of the Lord’s Supper 7 p.m. Mass and adoration in the chapel until 10:30 p.m.; Good Friday 3 p.m. Liturgy of the Lord’s Passion, Holy Saturday (April 20) 9:30 a.m. morning prayer in the chapel, Easter Meal Basket Blessing 11 a.m., Easter Egg Hunt Noon and Easter Vigil Mass 8 p.m., Easter Sunday Mass at 8:15 a.m. and 10:30 a.m.
St. John’s Episcopal Church in Honeoye Falls: Maundy Thursday Holy Eucharist 7 p.m., Good Friday Holy Communion service at Noon, Community Pilgrimage at 7 p.m., beginning at St. Paul of the Cross, progressing to First Presbyterian Church, Honeoye Falls United Methodist Church and finishing at St. John’s Episcopal Church., Easter Sunday Service at 10 a.m. with Easter Egg Hunt for children and an Easter brunch to follow the service (probably starting around 11:15 a.m.). St. Joseph Church in Rush: Holy Thursday Mass at Guardian Angels Church at 7 p.m.; Good Friday Mass at 3 p.m. at Guardian Angels; Holy Saturday (April 20) Easter Vigil Mass at 7:30 p.m. at Guardian Angels, Easter Sunday Mass 8 a.m. at St. Joseph’s in Rush, 9:45 a.m. at Good Shepherd and 11:30 a.m. at Guardian Angels. St. Louis Church in Pittsford: Holy Thursday 7:30 p.m. Mass of the Lord’s Supper with Washing of Feet; Good Friday 3 p.m. Solemn Liturgy of the Passion of the Lord and 7:30 p.m. Living Stations of the Cross; Holy Saturday 12 Noon Blessing of Easter Breads and Food and 8 p.m. The Easter Vigil in the Holy Night; Easter Sunday 7 a.m., 9 a.m., 11:15 a.m., 1 p.m.
St. Mary of Assumption Church in Scottsville: Holy Thursday 7 p.m. at St. Mary’s Church in Scottsville, and Adoration of the Blessed Sacrament 9 p.m.-10 p.m. at St. Mary’s; Good Friday 3 p.m. Mass at St. Columba’s in Caledonia, Holy Saturday (April 20) 8 p.m. St. Vincent DePaul Church in Churchville; Easter Sunday 8 a.m. Mass at St. Mary’s, 9 a.m. at St. Columba’s and 10 a.m. at St. Vincent’s, 11 a.m. at St. Mary’s . St. Paul of the Cross Church in Honeoye Falls, St. Rose Church in Lima and St. Agnes in Avon: Holy Thursday 7 p.m. Mass at St. Paul of the Cross; Good Friday 3 p.m. service at St. Rose, Annual Ecumenical Honeoye Falls Good Friday Community Pilgrimage at 7 p.m., beginning at St. Paul of the Cross, progressing to First Presbyterian Church, Honeoye Falls United Methodist Church and finishing at St. John’s Episcopal Church; Holy Saturday Easter Vigil at St. Agnes at 8 p.m., Easter Sunday services at 8 a.m. at St. Rose, 9:45 a.m. at St. Paul of the Cross and 11:30 a.m. at St. Agnes. Union Presbyterian Church in Scottsville: Good Friday 7 p.m.; Easter Sunday service 11 a.m.
United Church of Pittsford: Maundy Thursday Seder 6 p.m., Easter Sunday service at 10 a.m.
West Bloomfield Congregational Church: Maundy Thursday dinner, viewing of Jesus Christ Superstar and communion 6:30 p.m. (call 624-1313 to leave a reservation), Easter Sunday: 8:45 a.m. service, continental breakfast between 9:30 a.m., 9:45 a.m. Easter Egg Hunt and 10 a.m. celebration worship service. Wheatland Community Church in Rush: Good Friday gathering at the Beckers’ home 6 p.m. (Bring a dish to pass and RSVP to 355-0063), Easter Sunday service at 10 a.m.